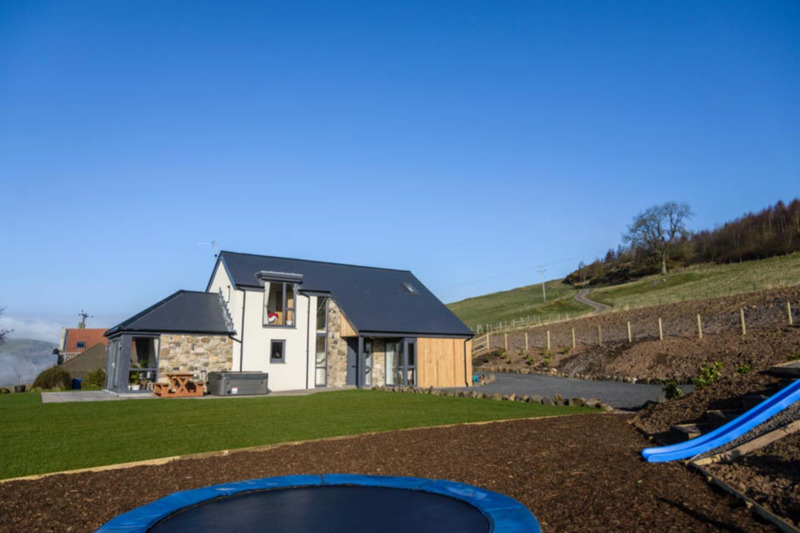 In the stunning location of Lindores in Fife, set in over 650 acres of rolling countryside, you’ll find Braeside of Lindores…where you can take your horse on holiday! In fact, Braeside of Lindores is aspiring to be the nation’s best horse holiday destination and was recently nominated Equestrian Business of the Year 2017 by HorseScotland. 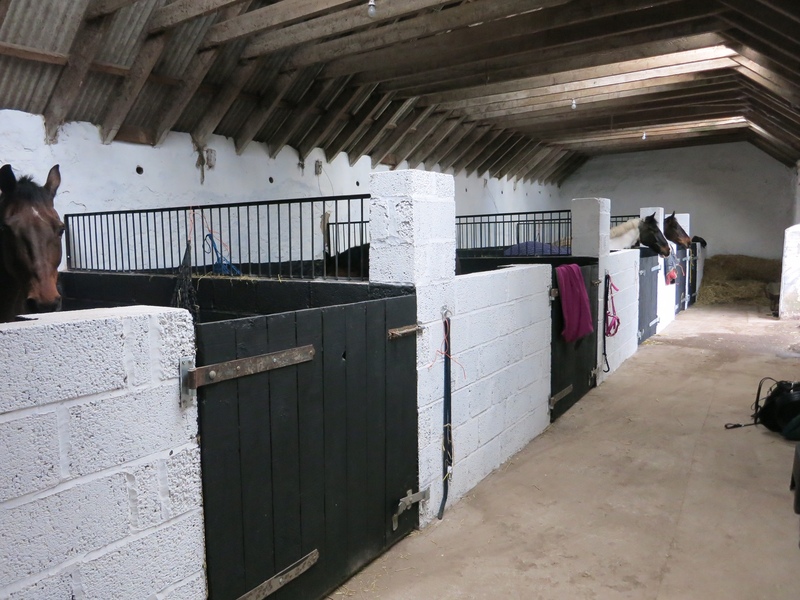 Anna and Richard Black are the lovely owners of Braeside of Lindores; a working farm offering 30 stables, luxury lodges, camping pitches,100 acre cross country playground, show jumping paddocks, sand school and bothy. The setting is simply stunning: a real get away from it all with pastures new to explore with your four-legged friends. 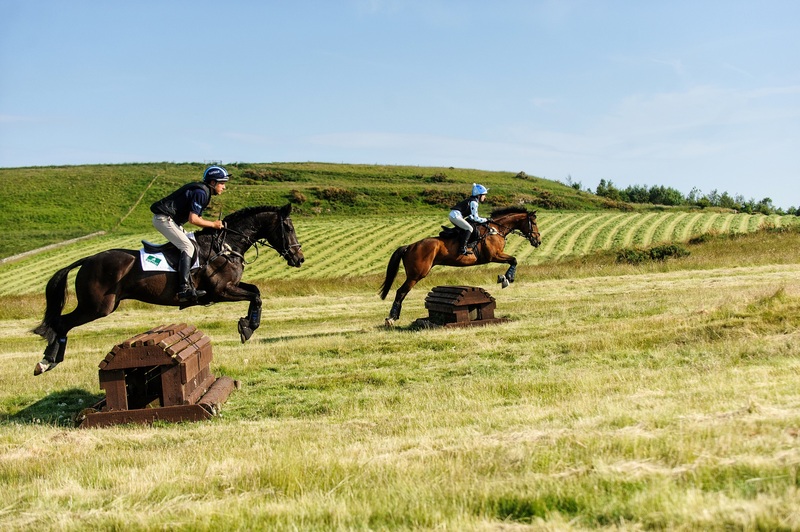 Lindores Cross Country was recently voted ‘9th best hack in Scotland’ by Scottish Field EQy magazine, and it’s clear to see why. With over 110 fences of varying heights and styles, there are fences for all standards of rider and horses. In 2016 a new water complex was designed and built to British Eventing standards offering all levels safe progression and a splash of fun. Opening for the season on 1st Mar, they will be unveiling a new ‘Danny MacAskill Hay Bale themed fence’ dedicated to Danny’s mountain bike stunt! Reporting Scotland described the scenes as ‘the Scottish countryside at its best – if not it’s most relaxing! !’… just watch the original film then decide for yourself. Anna and Richard who manage Braeside of Lindores have ambitious plans for developing their business. This year will see the opening of two further 5-star luxury lodges; one a couples retreat and the other to sleep up to four. Throughout the year, they also host a number of riding camps for adults and kids, as well as hosting pheasant, partridge and duck shooting for clients both local and international over the winter season. When not riding, there’s loads to do in the area. Lindores Abbey Distillery and Visitor Centre opens this summer for starters, and being only 19 miles from St Andrews, there are plenty of attractions, award-winning restaurants as well as golf to keep you entertained. If you want to stick to the great outdoors (and Fife has been voted ‘No1 Outdoor Destination for the last 8 years’), there’s mountain biking at Pitmedden Forest and a must do is a walk along the Fife Coastal Path – Scotland’s longest continuous coastal walk – for the breathtaking views.